A dedicated group of retirees, staff, and university administrators worked diligently between 2001 and 2006 to develop and implement the concept of the UC Davis Retirees Center. The Center opened in 2006 under Program Coordinator Doreen Barcellona Strnad, celebrated its fifth anniversary under Director Sue Barnes, and its tenth anniversary under Director Becky Heard. A complete history of the Center is contained in the report, History of the UC Davis Retiree Center; From Concept to Reality. An initiative to increase the number of UC campuses with Retiree Centers was launched by the Council of University of California Emeriti Associations (CUCEA). Four of the nine campuses at that time had retiree centers that were staffed with either part-time or full-time staff. CUCEA members encouraged their colleagues on the five campuses without retiree centers to initiate plans to add centers to those campuses. The UC Davis Retiree Association (UCDRA) drafted a proposal to establish a retiree center at UC Davis. The UC Davis Emeriti Association (UCDEA) joined the movement, and the two associations co-drafted the final proposal for the formation of a retiree center, to be housed at the new hotel/conference center. Budget cuts and several lawsuits challenging the new hotel conference center delayed progress in gaining administrative support to establish the Center. Several members of the UCDEA and UCDRA met with university administrators to develop a plan to get the center planning back on track. Agreeing that a retiree center was a worthy project, the Provost established the UC Davis Retiree Center Planning Committee. The committee was charged with considering options, including the 2002 proposal, for strengthening campus connections with campus retirees. The Retiree Center Planning Committee met throughout the year, ultimately drafting an organizational plan and a division of responsibilities with the two associations. The organizational plan called for an Advisory Committee to work with the center’s director on the overall direction and focus of the center. The Advisory Committee consisted of representatives from the UCDRA and the UCDEA, as well as staff representatives from both the Davis campus and the UC Davis Health System. Several names had been considered for the center during the early formative years. After further consideration, the Advisory Committee chose “UC Davis Retiree Center” as the name for the new center. 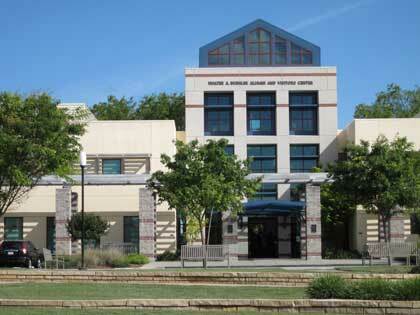 The UC Davis Retiree Center finally became a reality with the appointment of the Center’s first coordinator in June 2006. Sue Barnes joined the Retiree Center as Program Coordinator, later to become the director. Under Sue's direction, the Retiree Center began to take quarterly day trips, reach out to current staff in preparation for retirement and grew the association membership. The Retiree Center celebrated its five-year anniversary of keeping retirees and their families connected with UC Davis. Walter A. Buehler Alumni Center, Davis home of the Retiree Center. Becky Heard, from the Cal Aggie Alumni Association Parent Programs, was named interim director to the Retiree Center upon Sue Barnes' departure, later to be named Director of Affiliate Programs for both the UC Davis Retiree Center and the Cal Aggie Alumni Association's Parent Programs. The Retiree Center celebrated its tenth year of serving retirees from UC Davis. The Retiree Center opened an office on the Sacramento UC Davis Health System campus, in Suite 2500 of the School of Nursing's Betty Irene Moore Hall. Program Coordinator Bernadette Abucayan joined to the Retiree Center staff to serve the Sacramento office of the Retiree Center.